It’s not just what you eat. It’s how it gets there. Eater’s Digest, from Andrea Nakayama is one eater’s monthly reflection on the journey of her food. It never ceases to amaze me how interconnected all parts of the body are and how disconnected we’ve culturally grown from that reality. I’m not just talking about “Dem Bones” here. The network is more vast and biochemical. From a conventional perspective, for instance, the thyroid seems to float of its own accord in the region of the throat, detached from the brain, the gut, the stomach, and a host of other hormonal and chemical actions and reactions. But as I’m continually reminded and hopeful that you’ll understand, this just isn’t so! 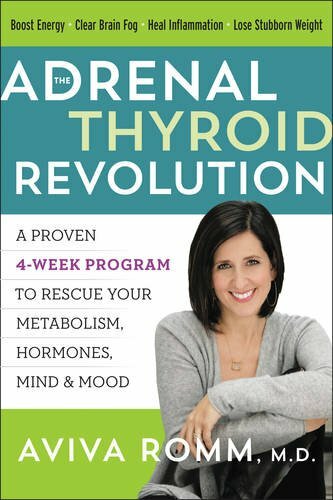 The thyroid is affected by and affects many other functions in the body, with relationships that may have been overlooked ~ to your immune health, your mental health and your environment! What I see, time and time again for the clients and customers I support is that when these connections are made, when there’s finally a reason why a particular sign or symptom is not being addressed by a standard treatment, that it brings relief, insight and the freedom to find a more clear path toward their unique recovery. I want to help you make these important connections. 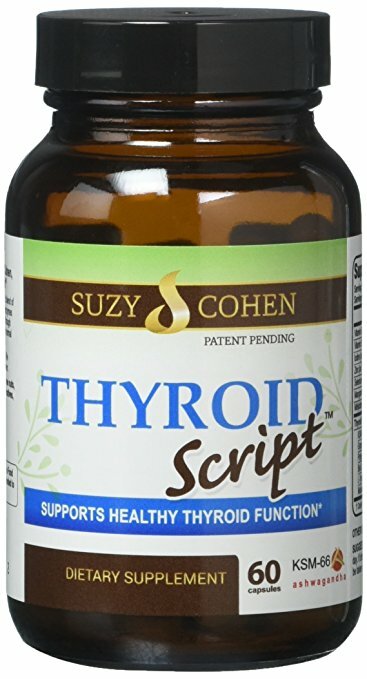 And today I want to help you connect your thyroid to…your stomach! That’s right, the way to your thyroid health (or one way anyway), is through your stomach. 1) Anemia can be an early sign of hypothyroidism. 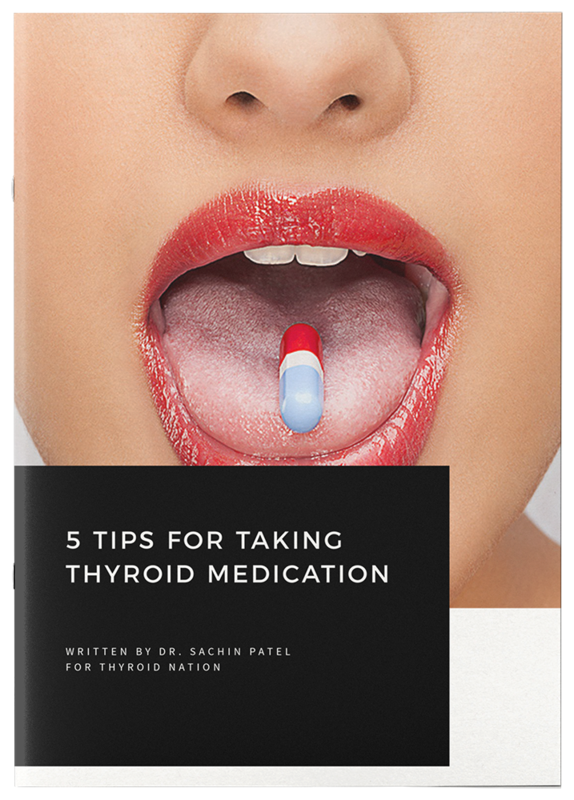 On average, between 20 to 60% of patients with hypothyroidism are also anemic. Have you struggled with anemia, chronically low ferritin levels, or undiagnosed fatigue that you thought was just your thyroid sluggishness or… who knows what? BUT WAIT! I thought stomach acid was bad!! A common misconception is that indigestion, heartburn, and GERD are symptoms of too much stomach acid. In reality, these are typically an indication of not having enough stomach acid. Your stomach should be very acidic, generally a pH of 1-2. When stomach acid is too low, it can trigger myriad digestive issues. Ample stomach acidity is necessary for breaking down and absorbing proteins and those other key nutrients for health, thyroid and otherwise. Ample stomach acid kills unwanted pathogens on contact. While too much stomach acid is not unheard of, it’s not a common, modern day concern either. Too little stomach acid is a likely culprit in many health concerns and there are simple daily techniques you can try, to see if a shift in your stomach pH supports you! You’ll want to slowly start to boost stomach acid and see what works for you. Remember we are all unique and what works for one (or even most), may not be your best remedy or your best remedy right now. The good news is, there are easy ways to “jumpstart” your stomach’s natural talents and bring your stomach acid back to normal levels. In this way we’re swimming upstream to address downstream problems ~ whether they be digestive, thyroid or blood related (like with anemia). Join me for some Eater’s Digest Homework this week to gain more insight into the connections that bring your health into perspective and can truly free you of the confines of a diagnosis alone. P.S. The Girl’s Guide to Hashimoto’s, my signature 8-week course on truly impacting your Hashimoto’s, is still open for registration! We started on October 1st, but there is still room. I’m ready for the transformation to begin. Click here to take a sneak peak inside the program. Boosting stomach acid (and improving digestion) can be as simple as looking in your pantry or fridge. Both lemon juice and raw, fermented apple cider vinegar (which we call ACV), support the alkalization of your body and boost the acidity of your stomach to improve digestion and the breakdown of nutrients. Try one (or both) in a stomach supportive morning elixir. Mix freshly-squeezed lemon juice (1/2 lemon or 1-2 Tbsp) with 6-12 ounces of room temperature or hot water. Lemon is generally more gentle on the stomach, making it a nice place to start if you have any throat or esophageal irritation. The ideal time to take your morning elixir is before breakfast (on an empty stomach) but you can also drink it during or after your meal. For an extra digestive boost, drink up before all your meals, especially when there’s a lot of protein on your plate! Remember, we’re flexing your digestive muscle here. If you feel a warming or slight burning sensation in the stomach (that’s just below your left ribs not near your belly button!) that’s a sign that your stomach is acidic enough and you can back down to a smaller amount or skip it altogether. At Replenish, we love to mix our ACV or lemon juice with our adrenal supportive herbal tinctures like ashwaghanda, rhodiola, or Diamond Mind for our morning cocktail to boost resilience and digestive health and, of course, to support the thyroid. Add ACV and freshly-squeezed lemon juice to soups, dressings and smoothies for a tasty digestive boost. Check out a favorite Replenish smoothie, the lemon low-glycemic smoothie for inspiration. A note of caution: if you have esophageal inflammation due to the GERD, you likely do need to boost stomach acid but it may cause pain or burning when you begin because the acid is against the inflamed tissue. Try starting by mixing water with aloe vera juice (1 – 2 Tbsp) for a few weeks to ease the inflammation before bringing in the ACV or lemon juice. And people often ask, what about my teeth? Is drinking lemon juice or ACV really ok for my teeth? The short answer is yes (get the long answer here!) and I promise the health benefits of these beauties far outweigh the risks. Feel free to drink your digestive health morning elixir from a straw for an extra dose of protection for your pearly whites. Andrea Nakayama is a functional nutritionist and the founder of Replenish PDX and Holistic Nutrition Lab. 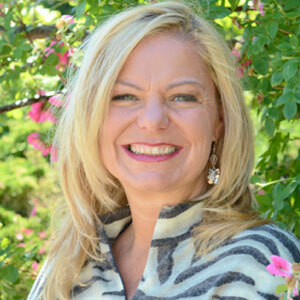 Based on her personal experience with Hashimoto’s, she helps women manage the ill effects of Hashimoto’s through a deeper understanding of their physiology and a strong commitment to self-care. 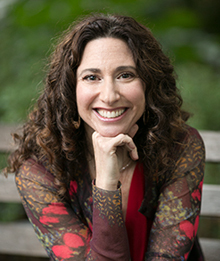 Andrea is also the co-author of Living Candida-Free with chef and blogger Ricki Heller and winner of the 2015 National Association of Nutrition Professionals’ Impact Award. Check out her website, here. Please follow her on Facebook and Twitter. While you’re at it, PLEASE ‘Like’ Thyroid Nation on Facebook and Follow us on Thyroid Nation RADIO, Twitter and Pinterest.